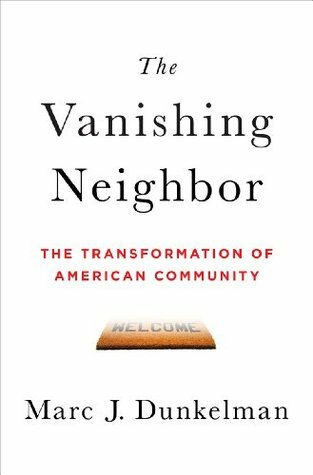 For the bulk of American history, the core building blocks of our communities remained the same. From colonial villages to frontier towns, and from urban tenements to first-ring suburbs, American exceptionalism was driven by the fact that people with different backgrounds and points of view couldn't avoid one another ever if they disagreed. Because we were more Little House on the Prairie than Downtown Abbey, American neighborhoods became the venue by which we took strength from our diversity. Suddenly, and for the first time since before the Revolution, the basic building blocks of American community have changed. And it's only now that we're beginning to understand the implications. We all know common litany of reasons used to explain why Washington is broken: the filibuster, the gerrymander, the lobbyists, and the impact of big money among them. There's just one problem: those influences were as pervasive during periods when our political system worked more effectively as it is now. So what's really the issue? The problem with Washington stems from very subtle changes in the routines of our everyday lives. The dysfunction of the federal government is, at root, a reflection of the changing architecture of American community. And until we understand what's happened on the neighborhood level, we'll never untangle the mess we see everyday on Capitol Hill. Within the most successful corporations, a new theory of innovation has emerged. Executives now accept that good ideas don't hit like bolts of lightening--they emerge when people with different realms of expertise and various points of view become engaged in substantive conversations. Steve Jobs was famous for putting the bathrooms at Pixar in places so that people working on separate projects couldn't help but bump into one another in the hall. That same phenomenon was, for most American history, reflected in American neighborhoods: good ideas emerged organically from the conversations bankers had with teachers at the coffee shop and lawyers had with small business owners in the bowling leagues. But those conversations aren't happening so frequently anymore because while our horizons have expanded, our interests have deepened. The net result: American innovation has suffered, and we're only now beginning to see what might spark the next wave of new ideas. Marc J. Dunkelman is a Fellow in Public Policy at Brown University’s A. Alfred Taubman Center for Public Policy and American Institutions. 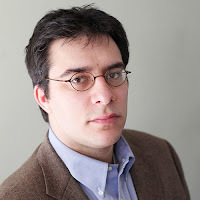 His writing has appeared in the Washington Post, the Wall Street Journal, the Los Angeles Times, the Chronicle of Higher Education, Politico, and National Affairs, among other publications. He is the author of the book, The Vanishing Neighbor: The Transformation of American Community (2014). He lives in Providence, Rhode Island.